Mel Gibson makes a superb whipping boy. I mean, seriously… what’s not to mock? He’s old—which in this country is a hanging offense—and he’s someone most of us at one point in our lives have either yearned to be, or get with (or both), but to no avail. Nothing like sour grapes to get the old jealousy bones creaking. Oh, yeah, and there’s that whole racist, sexist thing. Making fun of racism, sexism, and beingajerkism are all just and noble pursuits, and Mel Gibson has bought himself a full portion of it with his repeated drink-induced, anti-Semitic and misogynistic rants, for which there is no excuse. Nonetheless, I am going to excuse him. Not because he’s earned it, but because I’m pretty sure that someday I’m going to publicly spout off something idiotic as well, and I’d like to think Mel’s gonna remember this moment and cut me some slack. See, you cannot take a sound byte from a whole human life and use it to write off an entire person. People are complicated. They hold bizarre, often self-contradictory views. They do things they know to be wrong, and believe things they suspect to be incorrect. What is most tragic, however, is where most of this comes from—a fear of being un-loved. Because of this, human beings run around destroying themselves in all sorts of weird, illogical and counter-productive ways, hoping to find someone who really, truly loves them, even though they’re behaving like poo-stains. For Mel Gibson, one such a person is Jodie Foster. Much has been made of her “indefensible” defense of Mr. Gibson, the idea being that if you stand in front of a villain deflecting rocks, then you yourself must in fact be a villain. But perhaps there is more to a person than his or her actions, and more to love than mere agreement. Perhaps there are times when you defend someone not because you’re convinced of their perfection, but because you understand that no one is perfect, and that without unconditional love, no one will ever become the best person they are capable of being. Whether or not this is true, Foster and Gibson have chosen a lovely story to help make their case. In The Beaver, Gibson’s character is a man named Walter Black, who takes an extreme path of self-hating reinvention in a desperate attempt to redirect from the same depression that led to his father’s suicide. His reinvented, badly ventriloquizing self is funny, passionate, loving and awake in all the ways Black could not manage to be. Nearly everyone responds positively to his new alter-ego, which fuels his self-hating dementia to the point where he ends up taking a number of actions(like pushing and hurting his teenage son) that are exactly the opposite of what he ever wanted to do. In the end, he grows to hate the popular false persona he's created, and it is only by both figuratively and literally cutting it away from himself that he is able to realize that his family loves him not for any accomplishment or for the entertainment value he provides, but for who he is—even despite the fact that he is truly very sick. It is a message nuanced by the fact that Black’s wife, played by Jodie Foster, is not willing to merely accept Walter’s disturbed behavior indefinitely. But although she does call him on it in no uncertain terms, for her own protection and the protection of her children, there is never any doubt that it is love that prompts her action. The Beaver is not a perfect film, but it is quite a lovely, effective (often funny) one. I would venture to guess that its poor box-office showing has less to do with its relative merits, and more to do with the fact that the average American is not particularly interested in extending to Gibson the sort of love of which Foster has been an exemplar. Screenwriter Kyle Killen has said that a recurring theme in his work is doubt over the amount that people really can change, and that The Beaver is an attempt to flesh out his suspicion that what we are really stuck with is just learning how to love—both ourselves and others. I, for one, am glad of the reminder, and wish both Foster and Gibson the best. *Author's note: Last week marked the halfway point for my Fiction Friday Series. Furthermore, it is my birthday, and I started back at work this week. So, after twenty-six short stories, I decided to take one week off and re-charge my creative batteries. 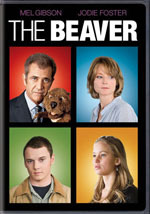 This article was first published as Movie Review: The Beaver on blogcritics.org. I haven't seen it, but I will now. Thank you for the suggestion. I also agree with your assessment or non assessment of Mr. Gibson. Who are we to judge, right? If my life was swirling in a toilet bowl under the gleeful gaze of the whole world, I think I would go a little nutso myself. All I know is that I would not want to walk in those shoes for all the tea in China (yeah, I've been craving to use that phrase somewhere, some people get cravings for chocolate, I love to use old sayings lol). I've never understood the appeal of celebrity; it is universally worshiped yet appears more of a curse than anything. I saw this tonight. I really enjoyed. Thanks for the suggestion. You are most welcome, Mark.